(Nanowerk News) The light scattered by plasmonic nanoparticles is useful, but some of it gets lost at the surface and scientists are now starting to figure out why. 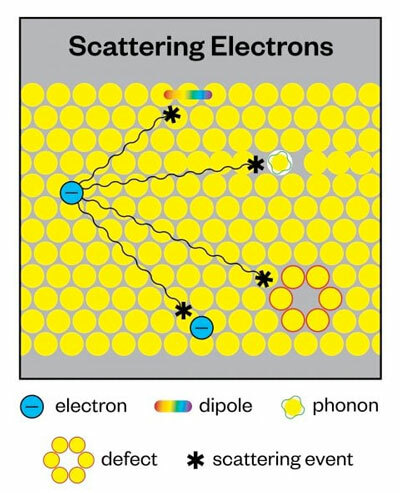 Illustration shows how scientists measure signal loss by plasmonic gold nanoparticles by attaching molecules that create damping on the surface. They led Link, lead author Benjamin Förster and their colleagues to the discovery of an entirely different mechanism, reported in Science Advances ("Plasmon damping depends on the chemical nature of the nanoparticle interface").